My O-1 visa stamp interview (U.S. embassy in Seoul, Korea) was so unpleasant, I thought I would share my experience here to contribute to the forum. I received my M.S. and Ph.D. in engineering from a U.S. university on an F-1, then worked under OPT & H-1B; Returned to Korea and worked for a few years, and am now going back to the U.S. with O-1; First author of two IEEE journal articles and several IEEE conference papers, U.S. patents; Four documented cases of peer-reviewing, five reference letters; All employers were/are major companies everyone knows about. Reference letters noted that I had made a key breakthrough invention that was state-of-the-art in the field, that all papers were published in the top peer-reviewed journals in my field, and that I am one of the top few percent of researchers in my field. 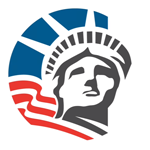 I received the I-129 approval from USCIS 10 days after receipt with premium processing. I'd interviewed three times at the same embassy before, for F-1, F-1 renewal, and H-1B, and all three times had been short and pleasant. So I hadn't expected any problems with my interview, but the consular adjudicator turned out to be really aggressive and unfair. Beware! CA: Sir, I don't mean to disrespect your background, but I've never heard of you. CA: The O-1 visa is only for famous people who received prizes like the Nobel Prize or Pulitzer. CA: (asked my salary, which is pretty high) I don't mean any disrespect to your background, and I believe you did the things you say you did and you are who you say you are, but I haven't heard anything from you that convinces me that you qualify for an O-1 visa. I'll think about this application and make a decision in a few days, but again, the O-1 visa is only for famous people like Nobel prize winners. He took my passport, original I-797, and copy of my I-129 petition with supporting materials (which he never asked for nor looked at; I gave it to him at the end of the interview), and that was it. No forms or anything were given to me. He said nothing to my wife, who was standing next to me for an O-3, throughout the whole interview. I think there were at least two problems with the CA's conduct. As clearly noted by the "OR" word, you can still qualify for an O-1 if you satisfy at least three out of eight requirements, and prestigious awards is only one of them. But the CA just kept repeating the need for fame and a Nobel (which he mentioned at least three times), without trying to listen to my other qualifications. Second, the CA can only challenge an approved I-129 if he finds new evidence that was unknown to USCIS, such as fraudulent claims or misrepresentations in the petition. Simply thinking that an applicant doesn't qualify for an O-1 is not enough to challenge a petition. 9 FAM 41.55 N8.4a : You may not question the approval of O petitions without specific evidence, unavailable to DHS at the time of petition approval, that the beneficiary may not be entitled to status. 9 FAM 41.55 N8.5 : Refer cases to USCIS for reconsideration sparingly, to avoid inconveniencing bona fide petitioners and beneficiaries and causing duplication of effort by USCIS. You must have specific evidence of a requirement for automatic revocation, material misrepresentation in the petition process, lack of qualification on the part of the beneficiary, or of previously unknown material facts, which might alter USCIS's finding before requesting review of a Form I-129, Petition for a Nonimmigrant Worker, approval. FYI, a sample request for revocation is 2~3 pages long. 9 FAM 41.55 N8.4b : Disagreement with DHS interpretation of the law or the facts, however, is not sufficient reason to ask DHS to reconsider its approval of the petition. I don't have a problem with CA's being blunt, and they have a right (and duty) to challenge an applicant's qualifications for a visa, but they should still conduct the interview in a manner that is fair to the applicant and consistent with State Department and USCIS regulations. My feeling was that the CA knew these rules, and arguing with him about CFR & FAM laws would have probably been a waste of time. He was just posturing for some reason, which is what made me mad. Now that I think of it, I think he might have reacted better if I had thrown him a bone like "I invented a breakthrough xxxxx that is the best in the world, and my documents here prove it" instead of trying to recite the mundane details of the I-129 petition. So those of you applying for an O-1, be prepared! I know some people get through their O-1 interviews very easily, but, as in any visa interview, your experience can vastly vary depending on which CA you meet, so you should always prepare for the worst. I still received my visa stamp, but was really distressed by the interview, which was totally unnecessary. I'm even thinking of writing a complaint to the State Department & embassy. - Day 6: CEAC website still showing "Administrative Processing", but "Status Updated Date" changed to today some time in the afternoon. Was told over embassy online help chat that my visa seems to be going through "normal processing" and that (in the case of Seoul, at least) if the CA had taken my passport and hadn't given me a 221(g), I can assume tentative visa approval.